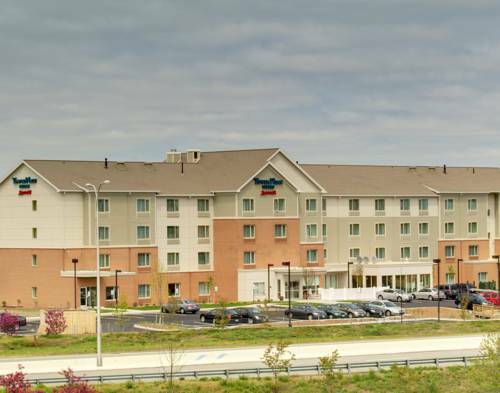 This Rhode Island all-suite hotel in the North Kingstown / Quonset Point area is the LEED Certified TownePlace Suites by Marriott. Located in the rapidly developing Quonset Development Park in North Kingstown, RI, the hotel is minutes from Providence, TF Green Airport, Newport, Jamestown, URI, Narragansett State Beach and the quaint village of Wickford. Quonset Regional Airport is 1.6 miles from the hotel. Offering free internet access, complimentary continental breakfast & spacious guest suites, indoor pool & shuttle service, our eco-friendly hotel offers exceptional value & convenience. Local companies include: General Dynamics, Electric Boat, Toray Plastics, North Atlantic Distribution Inc., the Rhode Island National Guard, Volkswagen Inc. of America, Ocean State Job Lot and Senesco Marine. Less than two miles from the hotel is the Martha's Vineyard Fast Ferry making access to The Vineyard easier than ever. Enjoy Lighthouse Tour Cruises and the Quonset Air Museum steps from the hotel.